A ways back, almost 600 reviews ago now, I tackled the wonderfully ‘90s concept of the electrically powered Superman Blue, DC’s second bid at re-inventing Superman in that particular decade. Not long after that, I also tackled Superman Red, who was the end result of Superman Blue getting split into two different entities. The whole thing was ultimately pretty short-lived, but it was timed just perfectly enough that both versions were still the official status quo take on Superman when Kenner launched their JLA line in the ‘90s, thus placing them in the line instead of the more conventional take on the character, and giving us the first of a handful of figures based on the designs. Today, I’ll be looking at the hot-headed Superman Red! 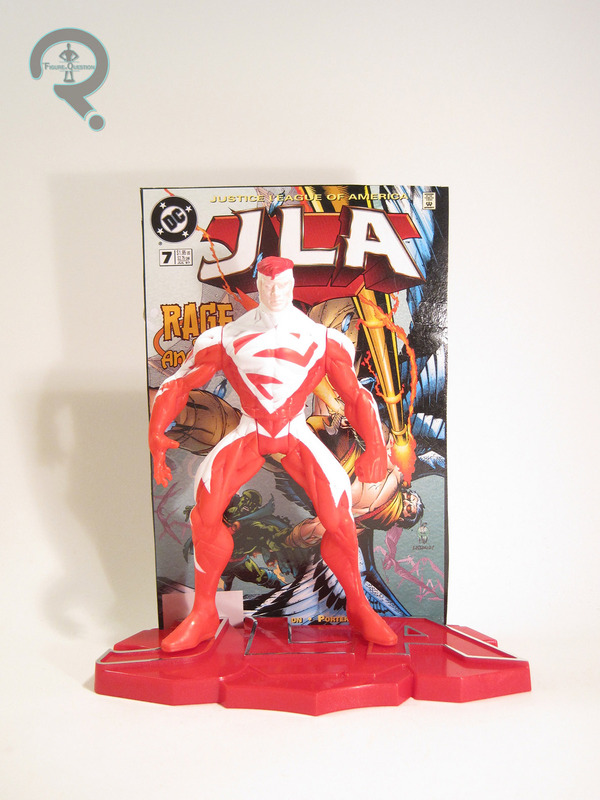 Both Superman Blue and Red were released in the first series of single-carded JLA figures. However, while Blue was also available in the first boxed set of figures, Red was exclusive to the singles (and is the only figure from Series 1 to be so). The figure stands about 5 inches tall and has the standard 5 points of articulation for the time. JLA was largely a way for Kenner to reuse their old Total Justice molds another time (though later assortments would steadily add more and more unique pieces to get a few more characters not released in Total Justice), so it’s not really a surprise that Superman Red was a total re-use. That being said, he was certainly a more uneventful re-use than some of the other figures. Most of the first series were just simple repaints of their TJ counterparts, but since Superman’s design had changed more than a little, they had to Frankenstein him a bit to get as close as possible. He (along with Superman Blue and the evil Hardlight Superman from the second boxed set) uses the torso, arms, and legs of the Total Justice Superman, with the head from Man of Steel’s Hunter Prey Superman (the one packed with Doomsday). The result is close enough…if you squint. The body still has the belt, shorts, and boots of the original figure, just painted over as if they aren’t there, which is certainly odd, but not too horribly distracting. What is distracting is the head’s painting over the clearly defined edges of the head gear, giving him these obvious lines running down his cheeks and across his forehead. Sure, the paint application’s clean for what it is, but what it is is a flagrant disregarding of the actual sculpted material. On the plus side, he’s a nice, bright red, which means he really pops on the shelf. So, that sorta makes up for it, right? JLA figures were usually pretty light on the accessories, but Superman, like the rest of them, includes a display stand. It’s even in red. There’s also a cover on the back of his box which can be cut out and placed on the back of his stand. It’s JLA #7, which is kind of an odd choice, since not only is Superman Red not on the cover, he’s not in the issue. I was never much of a fan of Superman Red or Blue growing up. It was sort of a weird period of time, and all the Superman merchandise was one of these two, and it felt wrong to me. So, I didn’t have this figure or his blue counterpart (I did have the Hardlight one, though), and instead waited for the proper classic Superman later on in the line. As time as gone by, I’ve gotten lots of classic Supermen, and now I have this weird nostalgic twinge for these designs. I found this guy in the bargain bin at this nearby comics and games store called Player’s Choice, and he called to me. He’s sort of a goofy figure, but it was a goofy concept to begin with. 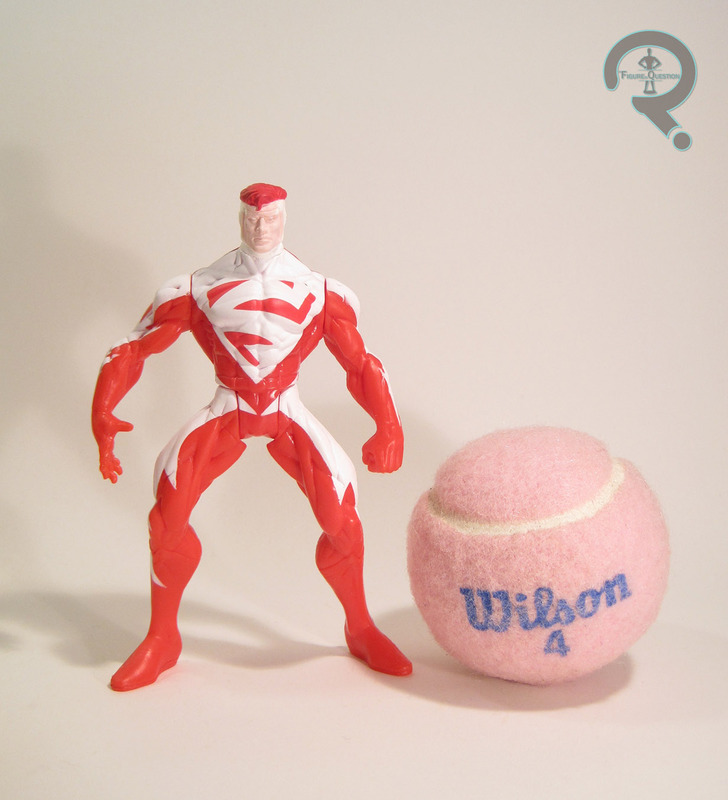 In the 80s, DC Super Powers came onto the scene and made its mark as the definitive DC toyline. Most DC collectors tend to agree that the spot was usurped by DC Universe Classics just a few short years ago. In the time between those lines, there were a few attempts to recapture the magic of Super Powers. The first was Batman: Total Justice, a line that featured a few Justice League members and villains, while also trying to cash in on Batman’s popularity. Sadly, it only lasted two series before ending. A few years later, another attempt was made, this time under the title JLA. It made use of many of the Total Justice sculpts and added a variety of new characters. The character Hawkman was originally present in Total Justice, but at the time of JLA, several botched reboots let to him being deemed “off-limits.” This led to the creation off Zauriel, who filled Hawkman’s position as dude with wings, both in the comics and in the toyline. Zauriel was released in the 3rd series of JLA. 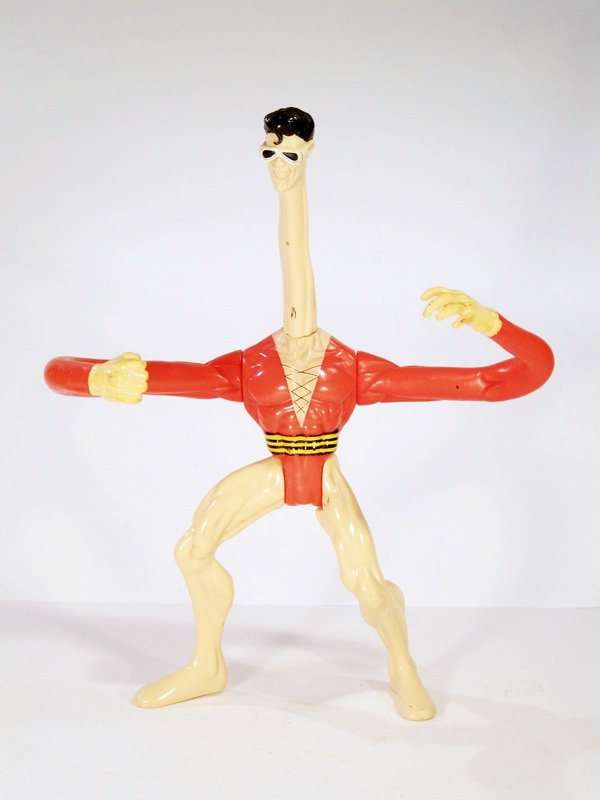 At the time, the line was exclusive to KB Toys. Zauriel is 5 inches in height and he features 7 points of articulation (courtesy of the wings). Zauriel is shown in his armored look, which was the look he was sporting in the JLA comics at the time. While many of the figures in JLA made use of old parts, Zauriel is mostly a new sculpt. The only pieces re-used are the wings, originally used on the Total Justice Hawkman. The sculpt is okay, but not spectacular. Total Justice figures were infamously pre-posed, and this was passed on to JLA. Zauriel stays true to this trend. His legs are rather oddly posed, and the proportions are a bit strange looking. Aesthetically, the sculpt isn’t bad. The armor is pretty well detailed, and the wings look tremendous. The paint on Zauriel is pretty decent. Everything is cleanly applied; there’s no real issues with slop or bleed over. Zauriel included a fiery sword and a JLA logo display stand in white. Zauriel is a more recent addition to my collection. For whatever reason, I never bought this figure while it was still at retail. I remember seeing it a few times, but I never bought him. I guess I just was unfamiliar with the character. I can’t say I’m super familiar with the character even now, but my local comicbook store, Cosmic Comix, had one marked down to $2.99 the other day. For that price, I figured it was worth it to get one of the few JLA figures I was still missing. Zauriel isn’t really a standout figure or anything, but he’s a decent enough figure.